E-103 Karoke player, born with magical design, is the best choice for singing. With altra portable size, you can sing anywhere you want, home, party, office, coffee shop, bar, school, ect. 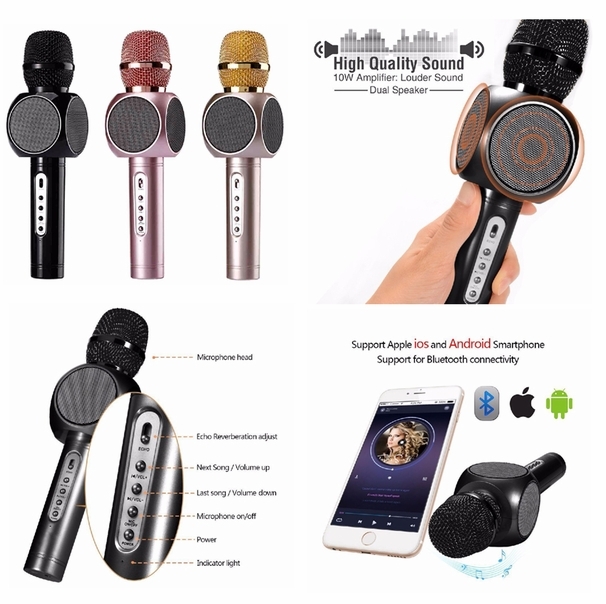 The only thing you need to do is connecting E-103 with your mobile by bluetooth or cable, then you can share your voice with others. 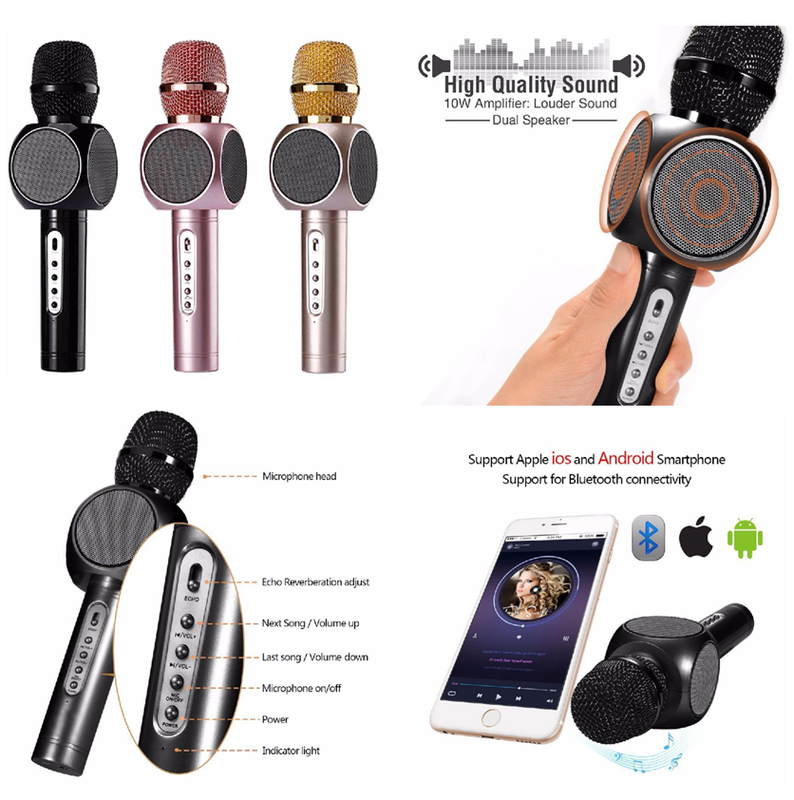 Super recording function can also enable you to record your singing, good for practice. Young or old, can easily get used to it and enjoy the time.